Are you worried about seeing the dentist? Are you apathetic about discussing your smile? Settling into the reality of what you are prepared to discuss with your dentist is the first step to relief. Whether you want to have dental crowns or restorative dentistry done, call now to schedule a consultation. If you’re nervous about sedation dentistry or in denial about the need for smile design or clear braces, the reality is that Dr. Scaff is here for you when you’re ready. The next step is making a choice. As you sift through the choices and choose the right dentist in Austin, keep in mind that Brian F. Scaff DDS offers competitive pricing and affordable options. The reality is that we service the Austin and Cedar Park areas with pleasure and look forward to treating your dental concerns with accuracy, gentleness and care. The final step to relief is just smiling. 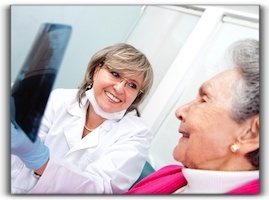 We’d like to take care of dental implants or cosmetic dentistry or porcelain veneers for you. And we are confident you’ll walk out the door smiling.